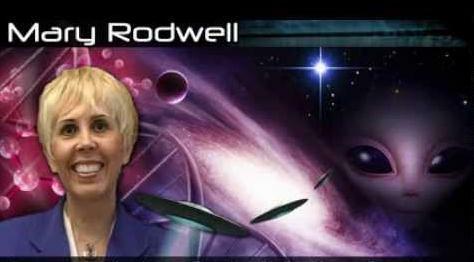 Mary Rodwell is a professional counsellor, hypnotherapist, ufologist researcher and metaphysician. 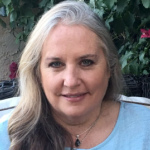 Mary is the founder and Principal of ACERN (Australian Close Encounter Resource Network) and is recognised Internationally, as one of Australia's leading researchers in the UFO and Contact phenomenon. She is the Vice-President of Star Kids Project Ltd and an Advisory Committee member of Exopolitics. She has lectured in the USA, Canada, Hawaii, UK and New Zealand and appears regularly in national and international media news programs such as the Australian documentary OZ Files, the BBC television program, Paranormal Files(UK) and Discovery Channel Animal X. She has also participated in a University debate forum on this phenomenon, in 2006 at Oxford University, UK. Mary's research shows while many "Star Children" sometimes called "Indigo's" have telepathic abilities, and are spiritually awakened and describe seeing "Beings of Light" (angels or light beings), the main difference is that "Star Children" have recollections of encounters with extraterrestrial beings and of being taken aboard extraterrestrial spaceships. 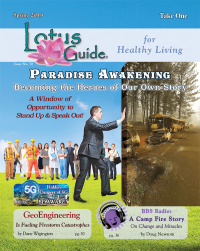 Mary's research also explores the evidence from scientific, medical, psychological, and historical perspective to support what she believes is a genetic engineering program, which is part of an upgrading of homo sapiens, and creating a paradigm shift in human consciousness, which these children demonstrate. Following is a brief history of the Perth-based UFO Abductee/Contactee Support Group , which was formed in late 1996. Its evolution has sparked interest not only from its participants, but also from organizations Australia-wide, the media and from overseas. In 1996, a group of Western Australian UFO researchers decided to form a support group for those people who have had 'encounter' experiences. In ufology terms, these are called 'Close Encounters of the Fourth Kind' and simply refer to anyone who believes he or she has had some contact or interaction with extraterrestrial life forms. At this time, they had in mind at least one facilitator for the group. This was Elizabeth Robinson, a professional therapist/counsellor, trained in group work, who had had her own abduction/encounter experiences. When Mary Rodwell heard about the proposed support group, she contacted the UFO researchers and explained to them that she had already considered forming a support group for the growing number of such clients she was seeing in her counselling practice. Mary informed them of her qualifications and background and a meeting was arranged where Mary learnt that they had already formed an advisory committee which included a psychiatrist to ensure that a professional support group was formed. This was totally in line with Mary's view because, as she had spent ten years in the counselling field, having trained in the UK and had experience in group work, she understood the need to create a credible, professional support network. It was arranged for Elizabeth and Mary to meet in December 1996, with the hope that they would work together. The goals were to provide a professional and supportive resource for all those abductees/contactees who needed it. This support group would offer total confidentiality, with the understanding that they would honour the clients’ experiences and support them emotionally and psychologically. As both Mary and Elizabeth were keen to begin, they advertised the Abductee/Contactee Support Group in NOVA, Western Australia’s Holistic Journal in March 1997 and the following month. They obtained further publicity for the group by having two articles published in the May 1997 issue of NOVA. These were 'Counselling the Abductee', written by Mary and a 'A Secret Life Awakened', written by Elizabeth which was about her own encounter experiences. Initially, fifteen individuals contacted them. A screening process was developed to assess what level of trauma was present. If someone was too severely traumatised, they felt it would not be helpful for them to attend the group immediately, but instead would provide them with one-to-one counselling support. They also wanted to be certain that people presented with the typical patterns associated with encounter experiences, because some individuals who have paranormal experiences that echo some aspects of the encounter experience, are not necessarily abductees/contactees. Mary and Elizabeth also had enquiries from people who were interested in the phenomenon and wanted to attend the group out of curiosity. It was important to explain to them that this was a therapeutic support group that was only for abductee/encounter experiencers, where group privacy and confidentiality were paramount. Eight people came to the first meeting, plus a psychologist, who attended as another professional to provide feedback. For many of them, meeting other experiencers was a total revelation. Despite the trepidation and anxiety some felt about coming, it was quite amazing that, once introductions had been made, the floodgates opened. By this, it is meant that they openly talked to each other about their experiences. It was as if the burden they had been carrying in silence and isolation had suddenly been lifted. Even during the coffee break the conversation continued almost without ceasing. Several individuals said they felt a real bond with some members of the group, even though they had never physically met before. It was if they already knew them. Time and time again, with small variations, they were the typical abductee/contactees pattern. One young woman in her twenties, who was severely traumatised by her experiences, said it took tremendous courage for her to attend the meeting. She said afterwards how pleased she was that she had found the courage to come. "I had always dreamed of something like this, but never believed it would happen." This statement epitomised how valuable a support group is and confirms the need to continue with it. It was clear that the needs of the group were not just about isolation and past experiences, but also for therapeutic support for on-going experiences. There is a desire by many abductees/contactees to try and make sense of this enigma, a desire to understand it and its meaning in their lives. This includes support for the paradigm shifts that many of them have to make. They also had support of some periodicals from complementary fields that kindly advertised their Support Group free of charge. These were Astrally Yours and The Healing Circle. Although this advertising was very welcome, it did not inform the wider community. Soon it meant that they had to go public via media outlets such as magazines, newspapers, radio and television. To do this was hugely confronting for both Mary and Elizabeth. They were both professional people who had credibility in the conventional therapeutic world. They could not predict what the consequences would be both professionally, or personally. For Elizabeth, there was the added dimension of exposing herself as an abductee/contactee. Both Mary and Elizabeth knew that with the media, much of the material would be sensationalised and put out of context. In fact, this did happen in several popular women's magazines who told their version of the story -often in lurid colour and with prose that resembled a horror script! With resignation Mary and Elizabeth finally subscribed to the saying: "All publicity is good publicity!" They fared slightly better in the local newspapers. They also had some good exposure on radio shows in Perth, as well as in the Eastern states. Elizabeth has been on a telephone satellite-link with a nation-wide American radio show. She also featured on the Channel Seven television news. However, the most honouring and informative program was a one hour television documentary special, called Oz Encounters: UFOs in Australia, which went to air Australia-wide in November 1997 on Channel Seven. This documentary is now on sale to the public and has also been sold to Discovery Channel, a satellite television channel in America. Mary suspects they will struggle for credibility for some time. "It goes with the controversial nature of this phenomenon. Media exposure, no matter how lurid, can still reach those who are looking for help. For the open-minded in the community, it may just start them thinking. The close-minded, however will probably remain so. Even if a spaceship landed on their front lawn, they would probably want to deny it was there." To date, the Support Group's exposure had been quite successful and has reached many of those in isolation with this experience. One letter received from a gentleman in his forties said: "Thank you so much for what you are doing, at last I now know I'm not mad!" It was important to access more information from the professional therapeutic world and it was discovered that the USA had the most to offer in this respect. Mary contacted the PEER (Program for Extraordinary Experience Research) organisation president, Dr John Mack, who is a psychiatrist and the author of Abduction. This organisation invites professional therapists to share their information through newsletters and workshops. The second resource was the Academy of Clinical Close Encounter Therapists (ACCET) in Sacramento, California, a professional organization whose members are psychiatrists, psychologists, doctors and those in the therapeutic field who are working with abductees/contactees. ACCET run workshops worldwide. Mary became a clinician member of ACCET in 1997 and from their list of members has access to other therapists. It was with interest that to date, Mary counted one hundred and five members. Only recently, a gentleman from Hobart, Tasmania, was referred to her through ACCET. This proves that building contacts and networking is so important. Moreover, as a result of the media publicity and amount of advertising that had been done, Mary and Elizabeth started to receive an increasing number of telephone calls from local psychologists, therapists, counsellors and others in the healing fields. So, in the latter part of 1997, they were invited to meet with Mary and Elizabeth to share in their understanding of the phenomena and to inform them of what they were doing. Mary and Elizabeth were delighted and heartened by their support and enthusiasm during the meeting and as a consequence, formed the Australian Close Encounter Resource Network (ACERN). The main aim of ACERN is to provide information, establish support groups, carry through professional referrals, raise the public's awareness about ACERN, network with organisations Australia-wide and overseas and to have a register of qualified professionals, counsellors and therapists who can provide the necessary support for those with encounter experiences. In fact, within such a short amount of time, the Abductee/Contactee Support Group has expanded its horizons into an organization, which now comprises representatives and support from several of the healing professions. It was under the banner of ACERN that Mary and Elizabeth attended the Australian International UFO Symposium, in Brisbane in October 1997. Before their departure, they had three main aims, which were: to advertise ACERN, to network with other support groups and professional therapists and to gather the latest information. They were able to achieve much of the above and were delighted when one of the symposium speakers, Cecilia Dean, not only showed support and interest in their organization, but also advertised and spoke about it at the symposium and took the information back to America. The trip had been extremely worthwhile and it had been very special for ACERN to meet so many well- informed individuals and be able to resource them for information. They also attended the Budd Hopkins' workshop for therapists and experiencers. Through this exchange, they received further validation that they were on the right track. As the Abductee/Contactee Support Group celebrated its first anniversary in April 1998, over seventy individuals with abduction/contact experiences had contacted ACERN, as well as local and overseas therapists, researchers and UFO groups. The group continues to prosper, with many of the initial members saying how they now feel more confident and less isolated. Some have been courageous enough to go public. It has been an amazing group journey. The ages range from fourteen years to sixty, with more females than males. Some of the members support other family members who are experiencers, but do not attend the group. For some, it is their children who are having the experience. ACERN has heard from a broad section of society, including housewives, schoolchildren, farmers, labourers, university students, teachers and psychologists. The experience has also touched the Aboriginal, European and Asian cultures. Most of those attending the group have on-going experiences. Meetings are held monthly and have a set agenda. Minutes are recorded for all meetings and then the members are invited to share any new experiences. Techniques or strategies are discussed and they share whatever is helpful, including their intuitive understanding of the experience. Resource material is discussed, including books and videos. If they need one-to-one support, they ask either at the meeting or later by phone. Apart from verbal discussion, strategies for integration such as drawing, meditation and written expression are encouraged. A 'buddy system' has been introduced and for the members, who wish to participate, it has been very helpful. ACERN continues to explore opportunities to advertise, as their priority is to reach the many abductees/contactees out there which they believe may be having difficulty coping. It is important to say that of the many people who are having encounter experiences who have contacted ACERN, slightly less than a third are traumatised. Many people cope with this experience quite well and some say that it has been a very special experience, which has transformed their lives. They really believe it has opened them to a 'greater multi-dimensional reality'! 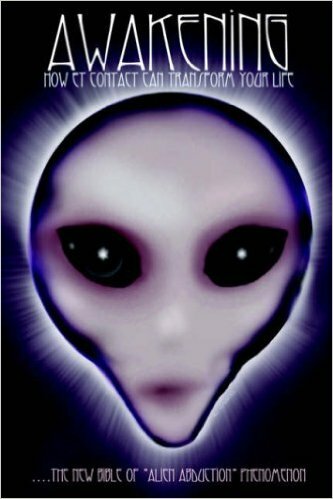 The new bible of the "abductee" phenomenon. Up until now, the phemonon of alien abduction has been presented in a bleak, oppressive, threatening, and fear filled fashion. As we all "know", abductees are victims and counsellers help them cope. But what if its not like that at all? What if its only our fear that makes us see this way? What if its our fear prevents us from seeing the truth? What if alien "abductions" are not about experimentation and probing but about spiritual awakening and galactic contact? This is just what Mary Rodwell, counsellor, registered nurse, and midwife, suggests in Awakenings. After working with over 900 experiencer (abductees) , Mary concludes that it is our fear that prevents us from seeing the truth and our fear that creates our terror. Once we overcome our fear, we see the phenemonon for what it really is. 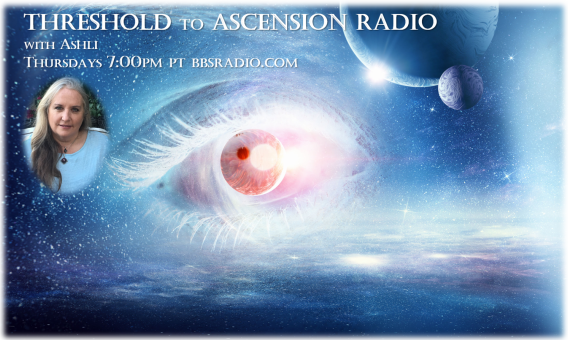 It is past time that we shrugged off our fear of this amazing spiritual phenomenon. Let Mary help you overcome the fear and conditioning that prevents you from seeing the profound and beautiful truth. There are ships on our horizon!